On February 20, 1962, the late Ohio Senator John Glenn became the first American to orbit planet Earth. The crew members of US Navy Battleship NOA were responsible for the recovery of his spacecraft, the Friendship 7, which he piloted for a total of 4 hours, 55 minutes, and 23 seconds, before it fell to earth and splashed into the ocean. Years later, that same crew decided to commemorate the success of their mission, dubbed ‘Project Mercury’, with a gift that was personalized, elegant, and well-made, so they called us. 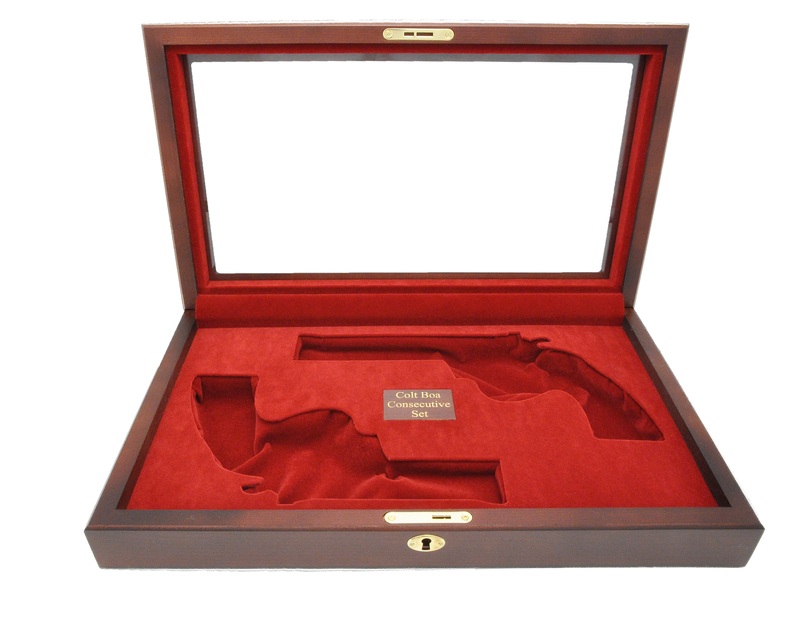 Here at Gun Boxes USA, we crafted a presentation case for the government model 1911 pistol that had been issued to each member of the crew. We embellished it with gold-filled laser engraving and configured the interior to display the shoulder patch worm by the crew members. We even retrofitted the case to hold a spare magazine and an additional 14 rounds of ammunition. This particular box, which we worked with the client to personalize, is our stock GB14S, solid lid box, advertised here in our catalog. 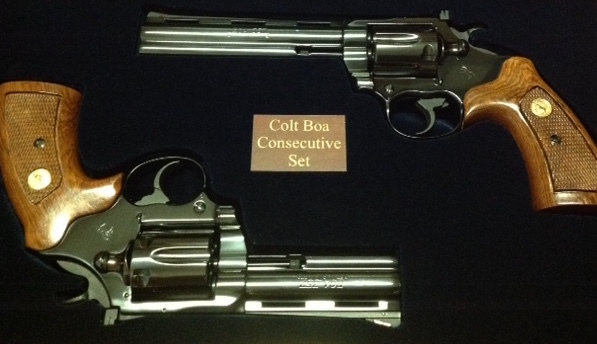 Each box is made with a deep rich cherry wood finish that allows the personalized engraving to really stand out.